Are you looking to hire a technology speaker for your next conference or special event? If so, Celebrity Speakers Bureau has you covered. Wether you’re searching for someone to educate your audience on the latest media trends, cutting edge technology, or deliver entrepreneurial advice, these top ten speakers are always ones to impress. 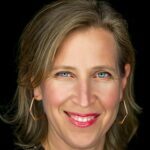 Susan Wojcicki – A prominent figure for women in business, Susan Wojcicki is the CEO of YouTube and genomics company 23andMe. Before becoming CEO of the second most popular website in the world, Wojcicki became Google’s first marketing manager in 1999 and eventually VP of Advertising & Commerce. Noting the startup’s rapidly increasing popularity, Susan proposed Google’s $1.65 billion purchase of YouTube. Ranked #10 on Fortune’s list of Most Powerful Women in 2018, Wojcicki continues to pioneer change in the tech industry. For example, Wojcicki has seen YouTube’s percentage of female employees rise from 24 to 30 percent. A high demand technology speaker, Susan has appeared at SXSW and Recode’s Code Media Conference in 2018 to discuss media trends and YouTube’s increasing influence. Sophia and Dr. Hanson – Sophia is an advanced humanoid robot created by Dr. Hanson, a scientist specializing in artificial intelligence innovation. They deliver personalized keynotes based on research tailored to the topics of their booked event. Sofia is also an independent technology speaker, able to formulate her own responses. This is because Dr. Hanson has enabled Sophia with the ability to read faces, detect and empathize emotions, and understand different languages and patterns of communication. First, Sophia made her debut at the SXSW Festival in Austin, Texas. Since then, she has delivered speeches at CES 2018, NASSCOM ILF 2018, and even spoken before the United Nations General Assembly. In 2019, Sophia’s surreality show, Being Sophia, is debuting. The series follows Sophia’s life experiences and her development as an increasingly intelligent technological being. This interesting pair display the most cutting edge robotics and perhaps a glimpse into the future of human and humanoid cohabitation. Chris Sacca – Owner of Lowercase Capital, Chris Sacca is a well known venture investor with shares in Twitter, Uber, Instagram, Twilio, and Kickstarter. He has also held several positions at Google and was one of the first Google employees to receive the Founders’ Award, a highly valued recognition in the company. Having such success at Google, it only makes sense that Sacca would combine his professional experience with his keen understanding of the stock market to advise tech companies at Lowercase Capital LLC. Most impressively, Forbes named Lowercase one of the most successful venture capital funds in history. 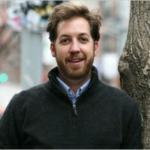 In addition, Sacca is a technology speaker, sharing his expertise at conferences. Such events include the 2018 Investors Archive and the 2018 Collision Conference in New Orleans. Now, Sacca is making headlines for his $285,000 investment in Swing Left. This is a start-up supporting Democratic candidates in swing states. As a result, Sacca promises to give Democrats an edge in the next presidential election. 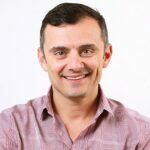 Gary Vaynerchuck– Gary Vaynerchuck is a well know internet personality, entrepreneur, motivational speaker, and author. Vaynerchuck is one of the first media personalities, originally hosting the very popular Wine Library. Subsequently, Gary applies his media knowledge to VaynerMedia, a company providing social media strategy to Fortune 500 companies such as General Electric and PepsiCo. Since starting VaynerMedia, Gary has also founded VaynerX and The Gallery. Additionally, Vaynerchuck offers motivational content on his DailyVee YouTube series with almost two million subscribers. Similarly, he hosts #AskGaryVee and offers keynotes at major conferences. With an entire Australian keynote tour in 2018 and several other lineups including the National Achievers Congress, Gary plans to make this year an even bigger success. 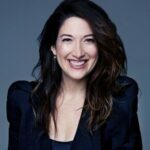 Randi Zuckerberg– Randi Zuckerberg is the former director of market development for Facebook and the founder of Zuckerberg Media. Helping Facebook become the most popular social networking app, Randi is responsible for the creation of Facebook Live. Through Zuckerberg Media, Randi creates original content for clients such as the Clinton Global Initiative and Condé Nast. Furthermore, Randi is EIC of digital lifestyle publication Dot Complicated and creator of the animated TV series, Dot. Also a NYT bestselling author, Randi proves that you really can have it all. This is the main theme of her book, Pick Three: You can Have it All and a common topic in her motivational speeches. Delivering an educational keynote at the HR Tech Conference, Randi is already on the lineup for the 2019 Texas Conference for Women. 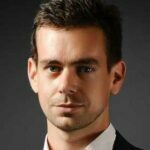 Jack Dorsey– Jack Dorsey is cofounder and CEO of Twitter, as well as the mobile payments Company, Square. Being one of the most popular social media platforms, Twitter has 326 million monthly active users. In addition, his innovative tech company, Square, held a value of $3.2 billion in 2012. Most recently, Dorsey boasts a collaboration between Twitter and the NBA. During the game, Twitter’s camera feed will focus on individual players, allowing users to follow players of their choice. Taking this into consideration, it’s no surprise that Dorsey is one of CEOWORLD’s “Best CEOs In The World”. In high demand for his forward-thinking ideas, Dorsey is also a popular technology speaker. For example, he attended the Consensus 2018 conference and the Haiti Tech Summit Ecosystem Meeting last year. 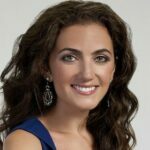 Jennifer Hyman– Jennifer Hyman is CEO of Rent The Runway, a tech company offering clothing and accessories for rent from over 500 designers. Rent The Runway also offers a subscription service called Unlimited. Most impressively, Rent the Runway had over 8 million member, 1200 employees, and over $190 million in venture capital by 2017. Undoubtedly, Hyman’s business model is worthy of praise. 71% of Rent The Runway’s staff consists of racial minorities and 70% are women. Frequently, Hyman speaks at conferences discussing female entrepreneurship and company culture. One of Fast Company’s “Most Influential Women in Technology”, she is a fabulous technology speaker for events such as the 2018 MAKERS Conference and Business Journal’s Women’s Conference. 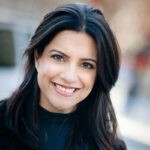 Reshma Saujani– Reshma Saujani is a highly driven lawyer and politician, having earned degrees from both Harvard and Yale. She is the first Indian-American woman to run for Congress and was previously the Deputy Public Advocate for New York. It was during her run for Congress that Reshma founded Girls Who Code, noticing few girls pursuing computer science. Undoubtedly, the organization makes a great impact on high school students by providing education in programming, robotics and web design. They also offer exciting experiences with visits to Twitter and Facebook offices. Since its founding, the organization has helped over 50,000 girls pursue their dreams in the tech field. Now partnering in a fundraiser with TikTok, the app will be giving $1 for every video posted using the hashtag #raiseyourhand. Continuing to raise awareness for her cause, Saujani can will be at conferences such as the LiveWorx 19 conference worldwide. Tony Hsieh– Infamous internet entrepreneur and venture capitalist, Tony Hsieh is CEO of Zappos, an online shoe and clothing company. In addition, Hsieh co-founded the advertising network LinkExchange, which he sold to Microsoft for $265 million. Similarly, Zappos was sold to Amazon for approximately $1.2 billion. In addition, Hsieh is the creator behind the Downtown Project, a revitalization plan for downtown Las Vegas. Originally providing a place for Zappos employees to reside, the project benefits all local tech employees. Additionally, the inspiring entrepreneur shares his success in Delivering Happiness, his NYT bestselling book. Admirers of Hsieh can also benefit from his great business advice at a variety of conferences. For example, he discusses his methods at the 2018 EDGE International Conference. 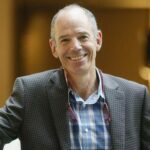 Marc Randolph– Technology speaker, Marc Randolph is best known as cofounder and the first CEO of Netflix. A serial entrepreneur, Randolph is founder of Macworld Magazine, MacWarehouse and MicroWarehouse, one of the largest resellers of brand name tech products. Since his retirement, Randolph offers mentorships at MiddCORE and travels around the world giving keynote speeches. His keynotes typically surround topics of leadership, technological innovations or his personal experience in founding Netflix. As can be seen, he eggs on emerging entrepreneurs at the 2018 Upstate Unleashed Conference. The inspiring, no-nonsense technology speaker is perfect for motivating your audience to pursue their passions. As you can see, Celebrity Speakers Bureau has a diverse selection of technology speakers available to make your event a success. Our team is trained to help you acquire the perfect business speaker for your event’s theme and budget. Contact the team at Celebrity Speakers Bureau via email at booking@celebrityspeakersbureau.com or call (212) 410-2853 to hire a celebrity speaker for your next event.